This December has been already. The 42 GOLD SPRINT FINALS were wild, with a winning time of 22 seconds & change. 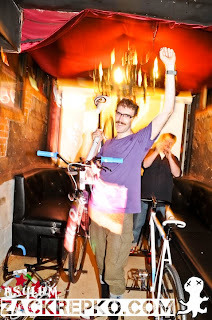 The DC Bicycle Film Festival Kick off party was even more crazy-packed with all sorts of characters racing, drinking & cheering on. 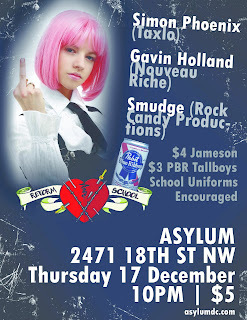 Tonight is going to be BONKERS. 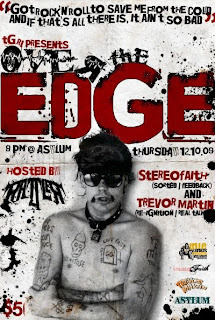 OVER THE EDGE is Tonight with Rattler, Sterreofaith & Trevor Martin $5. You KNOW that this means, Beer, Decadence, Debauchery & ROCK N ROLL!